This vintage style bag measures 23cm by 11.3cm. It has a silver metal frame with a clip fastening and detachable chain strap. 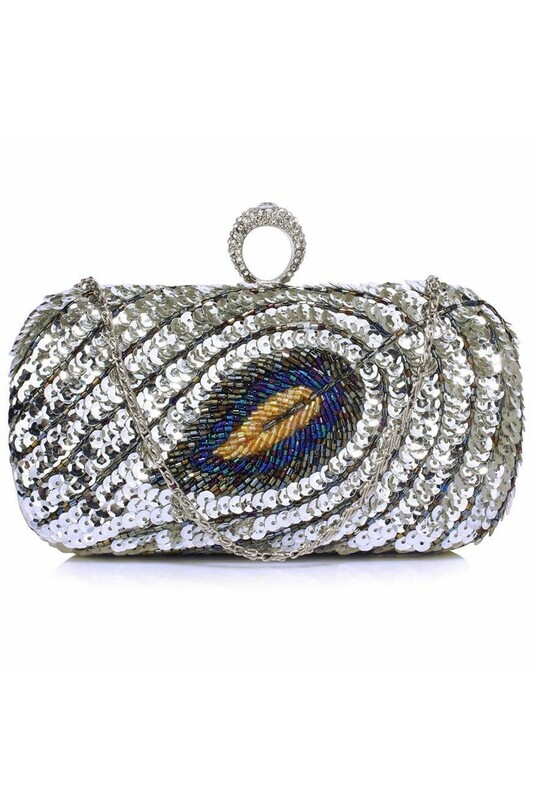 The front of the bag is decorated with a silver sequins framing a gold, blue and black beaded peacock feather.